Our customers come first here at Brookvale Mazda, that is why we have created the Driving Value program. Our Driving Value program is built with your convenience in mind, produced to surpass all of your Mazda car service and vehicle needs, and made to ensure the transition to owning and operating your Mazda is effortless. No bill shock – enjoy 5% discount on schedule service with Mazda Service Select transparent pricing, whilst you own the vehicle. Easy booking service – book online on our website www.bookvalemazda.com.au or use our app and save 5%. 5 years / Unlimited KM vehicle warranty. Complimentary drop-in 10-point safety-check (oil, tyres, lights, water and wipers). High-tech service centers located in Brookvale and Mona Vale. Long service opening hours that work around yours. Enjoy a complimentary clean with all scheduled services. Two conveniently located high-tech service centres to choose from. Option to drop off early and pick up late. Access to competative and affordable finance and insurance products and expert advice, 7 days a week. Don’t get stuck without a car – if you’re travelling close by, we’ll drop you off or grab a loan car at a 50% discount. Entertain the kids while you service. Enjoy our playroom onsite or free access to Little Rascals Playland and a coffee for you (Brookvale only). Want to test-drive a new Mazda vehicle but strapped for time? No problem – we’ll bring the test drive to you. 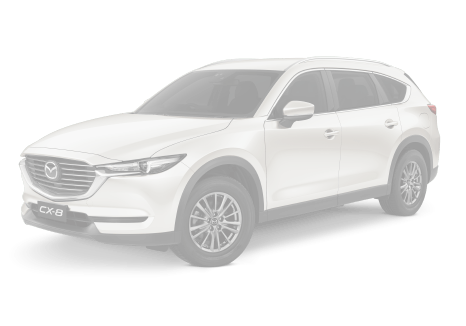 Found a cheaper price on a new Mazda from a genuine Mazda dealership? Simply share the written quote with us and we’ll match it so you have the option to stay local. Know others after a bit of zoom zoom? Refer new customers to us and when they purchase a new Mazda we’ll say thanks with a $100 eftpos card for you both. Better manage your budget with 5% discount on schedule services with Mazda Service Select transparent pricing, whilst you own the vehicle. Save a further 5% when you book your schedule service on our website www.brookvalemazda.com.au or on our app. Our accessories are always on sale as part of our Driving Value commitment – take 10% off the recommended retail prices. Ask about Corporate Select benefit program. & WHEN THEY PURCHASE A MAZDA, WE’LL GIVE YOU $100 TO SAY THANKS!